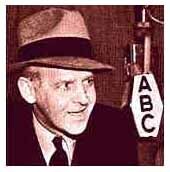 gossip columnist/broadcaster Walter Winchell was born in Minneapolis. He was the first to break the journalistic taboo against exposing the private lives of public figures, permanently altering the shape of journalism and celebrity. He broke into radio in 1930, and two years later had his own weekly quarter hour, the Jergens Journal, on the NBC Blue network (which became ABC.) “Good evening, Mr. and Mrs. America and all the ships at sea.” The Journal, gossipy news mixed with his opinion, was on the air for most of the next 30 years. Later his star would brighten for a new generation when he narrated the ABC-TV series The Untouchables. He died a recluse of prostate cancer Feb. 20 1972 at age 74. In 1908, orchestra conductor, arranger and composer Percy Faith was born in Toronto. He began by playing music for silent films in the city’s movie houses, later turning to arranging and composing when his hands were severely burned in an accident. After a stint at the C-B-C from 1933 to 40, Faith moved to the U-S and became an arranger-conductor for Columbia Records. He worked with Tony Bennett and other singers, plus his own orchestra and chorus. His “Theme From a Summer Place” won the 1960 Grammy for Record of the Year. Percy Faith died Feb 9 1976 at age 67. In 1915, Billie Holliday, probably the greatest jazz singer ever, was born Ellinore Harris in Baltimore. Her greatest recordings — “Strange Fruit,” “God Bless the Child” and “Yesterdays” — were made in 1939 and ’40. Holliday was jailed for a narcotics offence in 1948, and died in a New York hospital of liver failure July 17, 1959 while facing another possession charge. The 1972 film “Lady Sings the Blues” is based on her life. In 1918, bigband clarinetist Peanuts Hucko was born in Syracuse NY. He played with a succession of bands before, during & after WWII, including Charlie Spivak, Glenn Miller, Benny Goodman, Ray McKinley, Eddie Condon, and Jack Teagarden. In the 50’s he was busy in New York as a studio musician for CBS and ABC. 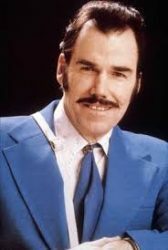 In the 1970’s he led & toured with the Glenn Miller Orchestra, as well as playing with the Lawrence Welk Orchestra on ABC TV. 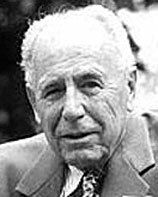 He died after a lengthy illness Jun 19 2003 at age 85. 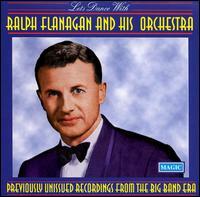 In 1919, bandleader/pianist/arranger Ralph Flanagan was born in Lorain Ohio. He played in & arranged for the orchestras of Sammy Kaye, Blue Barron, Charlie Barnet, Gene Krupa, Tony Pastor, Boyd Raeburn, & Alvino Rey. 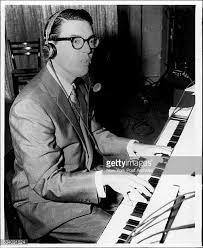 He formed his own big band in 1949 which repopularized the Glenn Miller sound on such hits as Nevertheless, Rag Mop, Harbor Lights, Slow Poke, & Hot Toddy. He died Dec 30 1995 at age 76. In 1927, phone lines were used for the first time to send TV images from Washington DC to New York City. The audience to the demonstration saw an image of Commerce Secretary (& soon to be US president) Herbert Hoover. In 1954, Gee, by The Crows, became the first rhythm and blues single to gain attention on pop music charts. Gee, written by William Davis, the baritone of The Crows, made it to #17 on the pop music chart. This was also one of the first songs by a black group to be played on white radio stations. The group split up in the late 1950s. In 1956, the first national rock and roll series, Alan Freed’s ‘Rock ‘n’ Roll Dance Party’, made its debut on the CBS Radio network. Also in 1956, neophyte English author Arthur Hailey had a script accepted and presented just 20 days after it was submitted to the Canadian Broadcasting Corporation. The TV drama, Flight into Danger, garnered an unprecedented audience response. Still in 1956, Little Richard’s soon-to-be classic “Long Tall Sally” was released in the US by Specialty Records. Again in 1956, The Platters made their television debut on the’ “Dorsey Brothers’ Stage Show” from CBS-TV’s Studio 50 in New York. in 1957, on CBS-TV’s “The Ed Sullivan Show,” Buddy Knox sang “Party Doll,” Jimmy Bowen performed “I’m Stickin’ With You,” while Ferlin Husky offered his huge #1 country hit “Gone.” And the cast of the Broadway hit “A Face in the Crowd” did a scene from the show. That same day in 1958, Mercury Records released “Twilight Time” by The Platters which would soon become their 3rd #1 single. Still in 1958, as the 45 had become the format of choice for single records the Capitol label officially stopped issuing 78 rpm disks. And Trail Songs,” on this one day. In 1960, at the Olmstead Studio in New York City Connie Francis recorded her first #1 hit single “Everybody’s Somebody’s Fool” for the MGM label. In 1962, Mick Jagger and Keith Richards met future fellow Rolling Stone Brian Jones at a blues club in London. In 1967, deejay Tom Donahue turned San Francisco’s KMPX-FM into what is considered to be America’s first alternative “free-form” radio station, playing non-commercial music by album-oriented bands. The station’s previously miniscule rating numbers turned into a wild success. In 1968, in the last of the 23 concerts in their first North American tour, The Who played the CNE Coliseum in Toronto. In 1970, the 42nd Annual Academy Awards ceremonies & the millions watching on TV saw John Wayne, a veteran of over 200 films, win his only Oscar: Best Actor for his role in “True Grit.” “Midnight Cowboy” was named best picture. Also in 1970, the No. 1 Billboard Pop Hit was “Let It Be” by The Beatles. The song had entered the Hot 100 at No. 6, higher than any previous entry on Billboard’s pop singles chart. In 1972, Toronto radio-TV host Al Boliska, whose unpredictabilty made him a breakfasttime star on first 1050 CHUM and then CKEY, choked to death on his own vomit at the much too young age of 39. 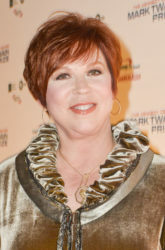 In 1973, Vicki Lawrence got her number one single as The Night the Lights Went Out in Georgia made it to the top of the pop charts. Lawrence had become well known as the 2nd banana who played Eunice’s mother on The Carol Burnett Show and Mama’s Family. In 1974, the No. 1 Billboard Pop Hit was “Bennie and the Jets” by Elton John. The song was first released as the B-side to “Candle in the Wind,” an ode to Marilyn Monroe. In 1975, guitarist Ritchie Blackmore left Deep Purple to form Ritchie Blackmore’s Rainbow. His guitar riffs helped make Deep Purple one of the early 70’s most successful groups. 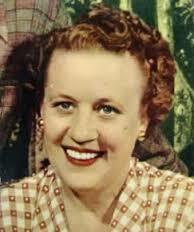 In 1976, radio talk pioneer Mary Margaret McBride died at age 76. Her popular interview shows spanned 40 years, beginning in 1934 on New York’s WOR, becoming a CBS feature in 1937, and moving to NBC in 1941 where her audience skyrocketted. A 1948 attempt to make her an early TV star ended after 3 months. In 1979, “Music Box Dancer,” an instrumental by Canadian pianist Frank Mills, became the number-one single in the U-S. It was the first instrumental to top the charts in several years. In 1984, a record 40 British acts appeared on the Billboard top 100 singles chart. In 1985, New York’s annual Easter Parade was telecast live in its entirety for the first time. Also in 1985, Prince ended his 32-city tour and said that he was withdrawing from live performances for “an indeterminate number of years.” That was when he changed his name to TAFKAP (The Artist Formerly Known As Prince). 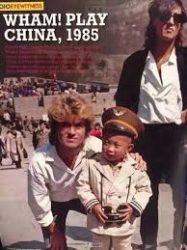 Still in 1985, with their scheduled 10-day visit Wham! became the first Western act to play in communist China. In 1987, jazz singer Maxine Sullivan, whose big hit was her 1937 recording of ”Loch Lomond,” died in New York at age 75. In 1988, Alice Cooper simulated hanging himself during a London concert. A safety rope snapped, and Cooper dangled by the neck for several seconds before being rescued by a stage hand. In 1990, the talent lineup for Farm Aid IV in Indianapolis included Bonnie Raitt, Carl Perkins, Garth Brooks, Alan Jackson, Asleep At The Wheel, Bill Monroe, Arlo Guthrie, John Hiatt, and John Denver. Elton John performed “Candle in the Wind” for a teenager with AIDS Ryan White, who tragically died later in the day. 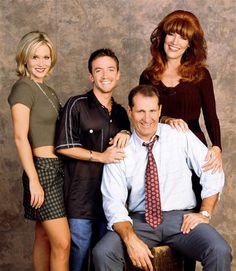 In 1991, the 100th episode of “Married With Children” aired on Fox TV. In 1994, Canadian media mogul Frank Griffiths died at age 77. He acquired Vancouver radio station CKNW in 1956, and built an enormous broadcasting empire under the Western Broadcasting (later WIC) banner. He owned the Vancouver Canucks over the last 20 years of his life. Also in 1994, just 4 days before the release of her second album Courtney Love was arrested on drug and theft charges after a reported overdose. Love was unaware that her husband Kurt Cobain was already dead at their home in Seattle. His body was discovered the next day by an electrician installing a security system at their house. Still in 1994, singer Percy Sledge pled guilty to evasion of taxes on some $260,000 of unreported income. He was sentenced to spend six months in a halfway house. In 1997, Canadian country singer Patricia Conroy suffered a head wound and numerous bites and cuts when attacked by a German shepherd on a beach in Italy. The remaining seven dates of her European tour were cancelled. Also in 1997, trumpeter Wynton Marsalis became the first jazz composer to win a Pulitzer Prize for music. He won for “Blood on the Fields,” a three-hour work for big band and three singers. In 1998, the widow of former entertainer Sonny Bono, Mary Bono won a special election to serve out the remaining months of her husband’s term in the US House of Representatives. Also in 1998, Carlos Vega, a Los Angeles drummer best known for his work with James Taylor, died of an apparently self-inflicted gunshot wound. Again in 1998, drummer Tommy Lee of Motley Crue pleaded no contest to felony spousal abuse. He was accused of kicking his wife, actress Pamela Anderson Lee, while she held their son. Lee was sentenced to six months in jail. 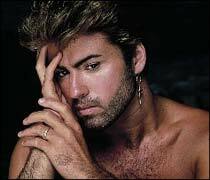 Still in 1998, singer George Michael was arrested in Beverly Hills for allegedly committing a lewd act in a park restroom. He later confirmed he was gay and that he’d been similarly “reckless” before. Michael pleaded no contest and was fined $810, was banned from the park, and ordered to take counselling and perform community service. 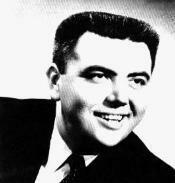 In 2000, Heinz Burt, the bass player and singer with The Tornadoes died at age 57. The group had the Joe Meek-produced 1962 No.1 single ‘Telstar’, making them the first UK group to score a chart-topping single in North America. Also in 2000, Michael Abram attended a court hearing for his attempt to murder George Harrison and his wife Olivia on December 30, 1999. Abram was ordered to appear for trial, but a date was not set. In 2001, actress Beatrice Straight died of pneumonia at age 86. Best known for her Oscar winning supporting role in the bigscreen film Network, and a paranormal investigator in Potergeist. But she was active in early anthology TV in Armstrong Circle Theatre, Hallmark Hall of Fame, Kraft Television Theatre, Studio One, The United States Steel Hour, Playhouse 90, and Alfred Hitchcock Presents, as well as dramatic series like Dr. Kildare, Ben Casey, The Defenders, Mission: Impossible, and St. Elsewhere. She had also been cast as the mother of TV’s Wonder Woman. Also in 2001, Paul McCartney bought the four-bedroom Beverly Hills home of Courtney Lovefor $3.995 million. The gated 1930s house has its own swimming pool and is on 1.5 acres of land. In 2003, Avril Lavigne dominated Canada’s national music awards the Junos, winning four prizes including best single, album and new artist. Shania Twain who hosted the show won three awards. In 2005, Jack Paar’s bandleader during his years hosting NBC-TV’s Tonight Show (1957-62), Jose Melis suffered respiratory failure and died at age 85. Also in 2005, Velvet Revolver played “Dirty Little Thing,” from their “Contraband” album, on NBC’s Tonight Show With Jay Leno. 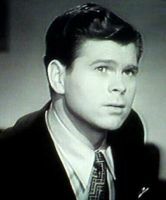 In 2007, journeyman actor Barry Nelson, who co-starred in early TV’s My Favorite Husband, died just nine days short of his 90th birtnday. In 2008, Feist won five awards, including album of the year at this year’s Junos. The Canadian singer-songwriter won single of the year for ‘1234’, album and pop album for The Reminder, as well as artist and songwriter of the year. In 2009, Neil Young‘s 32nd album, “Fork In The Road” was released on the Reprise label. Also in 2010, American Idol‘s Top 9 finalists performed songs from The Beatles’ “Lennon-McCartney Songbook.” Paul McCartney made a brief appearance. Still in 2010, Public Image Ltd. made their first TV appearance in more than 18 years when they performed on ABC’s Jimmy Kimmel Live! In 2012, radio announcer/TV newsman/game show host Mike Wallace, for 38 years the main man at CBS-TV’s “60 Minutes,” died at age 93. In 2013, comedy writer Mickey Rose, a lifelong friend of Woody Allen, who penned TV comedy bits for the likes of Sid Caesar, Johnny Carson, the Smothers Brothers and Dean Martin, succumbed to colon cancer at age 77. Also in 2013, former AC/DC bassist Neil Smith died at age 60, after losing a battle with cancer. Still in 2013, Miranda Lambert won trophies in three categories at the 48th annual Academy of Country Music awards, aired by CBS from Las Vegas’ MGM Grand Garden Arena. Lambert took Female Vocalist of the Year, while “Over You” claimed Single Record and Song of the Year. In 2015, the one and only Stan Freberg, madcap adman and brilliant satirist, died at age 88. He was a humorist whose sprawling imagination fueled a multifaceted career that included pretty much inventing the idea of using satire in commercials. Freberg made hit comedy records, voiced hundreds of cartoon characters and in 1957 succeeded Jack Benny in one of radio’s most prestigious time slots, with 15 half-hour spoofests that are still fondly recalled 60 years later. Also in 2015, actor Geoffrey Lewis, the father of actress Juliette Leis, who appeared frequently as a villain in Clint Eastwood movies, and had recurring roles on TV on the series Land’s End, Flo, Falcon Crest and Murder She Wrote, suffered a fatal heart attack at age 79. In 2017, UK actor Tim Pigott-Smith, best known for his award-winning lead role in the 1984 TV series The Jewel in the Crown, died suddenly at age 70. Also in 2017, Pearl Jam, Journey, Electric Light Orchestra (ELO) and Yes were inducted into the Rock And Roll Hall Of Fame during a ceremony at the Barclays Center in Brooklyn. There was also a tribute to the late, great Chuck Berry who’d passed away weeks earlier. Actress Yvonne Lime (Happy, Father Knows Best) is 84. Singer Charlie Thomas of The Drifters is 82. Former actress Roberta Shore (The Virginian) is 77. Singer Patricia Bennett of The Chiffons is 72. Singer John Oates of Hall and Oates is 70. Drummer John Dittrich of Restless Heart is 68. Actor Clarke Peters (Treme, The Wire) is 67. Actress Alexandra Neil (One Life to Live, Ryan’s Hope) is 64. Actress Elaine Miles (Northern Exposure, The Rez) is 59. Actor Russell Crowe (The Loudest Voice) is 55. Singer Mark Kibble of Take 6 is 55. Actor Bill Bellamy (Last Comic Standing, Fastlane) is 54. Actress Ellie Harvey (The New Addams Family, Some Assembly Required) is 54. Rock musician Dave “Yorkie” Palmer (Space) is 54. Actor Matt Servitto (Your Pretty Face is Going to Hell, Banshee, One Life to Live) is 54. Former CKNW Legislative Reporter/talk show host Sean Leslie is 51. Actress Heather Burns (Save Me, 20 Good Years, The $treet, One Life to Live) is 44. Actor Sergio Peris-Mencheta (Snowfall) is 44. Actor Kevin Alejandro (Lucifer, Arrow, True Blood, Southland) is 43. Writer/producer/director/actor Eric Wareheim (Tim & Eric’s Bedtime Stories, Dr. Wareheim, Master of None, Check it Out! with Dr. Steve Brule) is 43. Actor David Otunga (WWE NXT, WWE Superstars, I Love New York) is 39. Actor Michael Bellisario (JAG, NCIS) is 39. Actress Rachel Duncan (Almost Home, The Torkelsons) is 34. Actor Jason Ralph (The Magicians, Aquarius) is 33. Actor Ismael Cruz Cordova (Ray Donovan, Sesame Street) is 32. Actor Ed Speleers (Downton Abbey) is 31. Actress Jessica Sara (Just for Kicks) is 27. Toronto-born actress Cristine Prosperi (Degrassi: The Next Generation) is 26. Actor Conner Rayburn (According to Jim) is 20.